Situated in the South-West of France between Paris and the Pyrenees the Dordogne has many tourist attractions and is packed with history and incredible scenery. 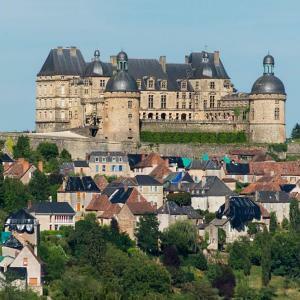 The Dordogne boasts over 1000 medieval Chateaux, Bastide towns, Caves and Grottes complete with 10,000 year old paintings and magnificent gardens. Other popular tourist attractions in the Dordogne are the “Les Plus Beaux Villages de France” (Designated “Most Beautiful Villages of France“) which there are more of in the Dordogne than any other Department of France. The houses and buildings of the Dordogne are built with yellow stone that was quarried locally offering picture perfect scenery and are popular tourist attractions. A very popular tourist destination in the Dordogne, the Bastide of Domme sits high above the Dordogne River and valley on a rocky outcrop with stunning views across the Dordogne Valley. Dating back to the 13th century this once important trading town is not far from Sarlat. 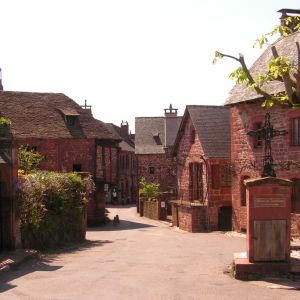 Domme is a popular tourist destination with many tourist attractions to see which include a Knight Templar prison, a stunning market hall and the restored medieval gates. Sarlat is a beautiful medieval town that dates back to the 9th century and is a popular Dordogne tourist destination. Sarlat is filled with golden sandstone buildings and has been beautifully restored; the town is recognised as one of the best examples of a medieval town in France if not Europe. Sarlat has a large number of tourist attractions which include a magnificent cathedral, the town square which is surrounded by ancient houses and the very popular tourist attraction – the Sarlat Market. Les Eyzies or Les Eyzies de Taynac-Sirueil is a small town on the banks of the Vezere River in the Dordogne department of France. Les Eyzies is a popular tourist destination and offers a number of interesting tourist attractions to see. Les Eyzies is best known for the caves and grottes that surround the town that were once the home to Cro-Magnon man 20’000 to 40’000 years ago. Discovered in 1862 the caves surrounding Les Eyzies have been designated a UNESCO world heritage site and are a popular tourist attraction. Lascaux Caves are in the Dordogne Department of France just a few kilometres from the popular town of Montignac and are a very popular Dordogne tourist attraction. 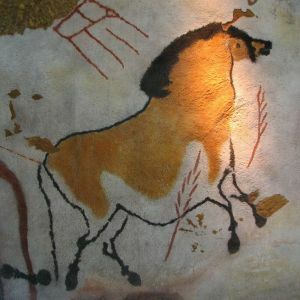 Discovered in 1940 Lascaux caves showcase some of the most exceptional examples of pre-historic art in the world. The caves of Lascaux are set out is a series of ‘rooms’ and depict paintings of animals, figures and shapes. Food is a major tourist attraction in the Dordogne with fresh produce markets to be found across the department and restaurants showcasing the specialties of the region such as foie gras, truffles, walnuts and of course wine from the vineyards that abound in the SW. The markets of the Dordogne are a very popular tourist attraction.